This year Slow Food Hudson Valley’s 5th Annual Snout to Tail event takes on a whole new look. Instead of being a two-day event, it’s a much more accessible one day experience. 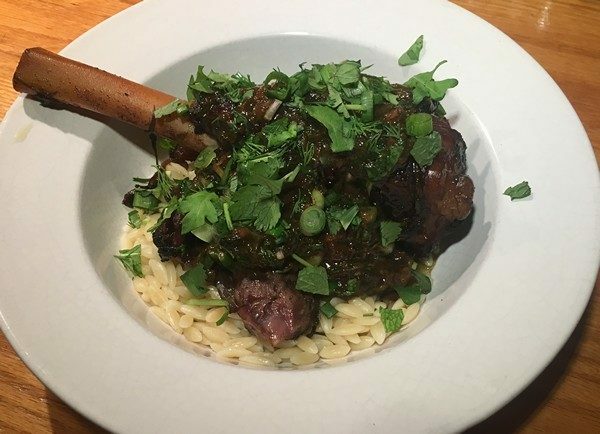 Look forward to spending Saturday April 6th at Montgomery Place Orchards in Red Hook NY, with “some of the best lamb I have ever consumed” according to Slow Food Hudson Valley’s Co-Chair Rich Vergili. The day will start out with a butchering demonstration of a lamb with butcher and “chef extraordinaire” Tom Schneller. If you’re partial to, or curious about a certain cut, it’s possible that Chef Schneller will be able to demo that for the group. Chef Daniel Turegon will be cooking up the lamb 3-4 ways for everyone to enjoy along with accompaniments. 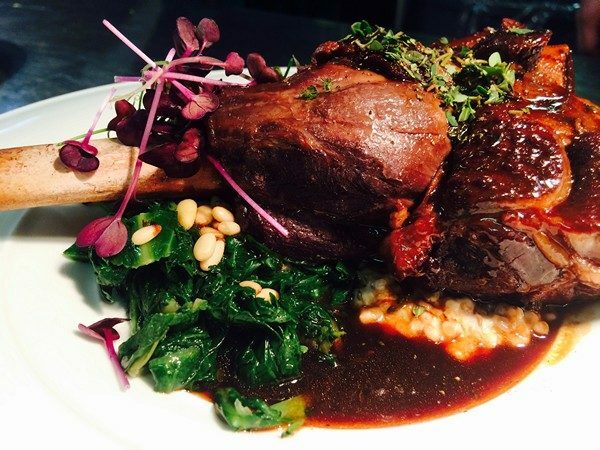 You’ll be enjoying plates of lamb sausage, chops and boneless leg. Along with that, each attendee will get up to a pound of sausage or another cut to take home. If that’s not enough for lamb die-hards, there will be additional cuts to purchase. During the event, you’ll have the chance to meet and talk everyone involved in the process. 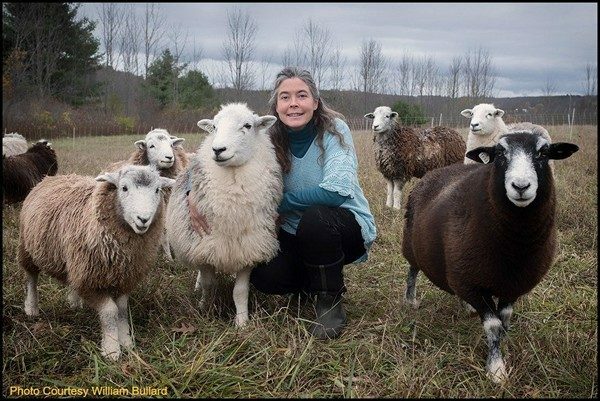 Farmer Erin Bradt from the Helder-Herdwyck Farm in East Berne, N. Y who raises the lambs, will discuss running a holistically managed, pasture-based small family farm, sustainably producing heritage meats and pastured eggs. The Herdwick lamb is raised by only 2 farmers in the United States at this time. This rare breed is traditionally bred and raised in the Lake District in Cumbria, England. While Chef Schneller wields his knives, and Chef Turegon cooks, Chef John Kowalski will be offering a hands-on demonstration of the art of sausage making. Because this is such an extraordinary opportunity to learn about and taste Herdwick lamb, this event is strictly limited to 15 guests. Tickets are $110 and available at Brown Paper Tickets. Don’t miss out on this unique experience! Thanks to Rich and Helder-Herdwyck Farm for the photos. As part of our lamb CSA share this year we got a lot of ground lamb, so I’ve been trying to think of interesting new ways to use it. This recipe from bon apétite seemed similar to a pork recipe we’ve loved. It was quick and easy and served 2 greedy people with a smidge leftover. Preheat oven to 350°. Toast peanuts on a rimmed baking sheet, tossing halfway through, until nuts are golden brown, 6–8 minutes. Let cool, then coarsely chop or crush into small pieces. Heat oil in a large saucepan over medium-high until shimmering. Add garlic and cook, smashing down on cloves to break into smaller pieces with a wooden spoon, until some parts are golden brown, about 3 minutes. Push garlic to one side of pan, then add ground meat and a pinch of salt to the other side. Cook, smashing and stirring meat and garlic together, until no clumps remain and meat is no longer pink, about 4 minutes. Be careful not to overcook; as soon as you can’t see any pink, remove from heat. Mix in shallot, scallions, chiles, lemongrass, lime juice, fish sauce, and half of peanuts. 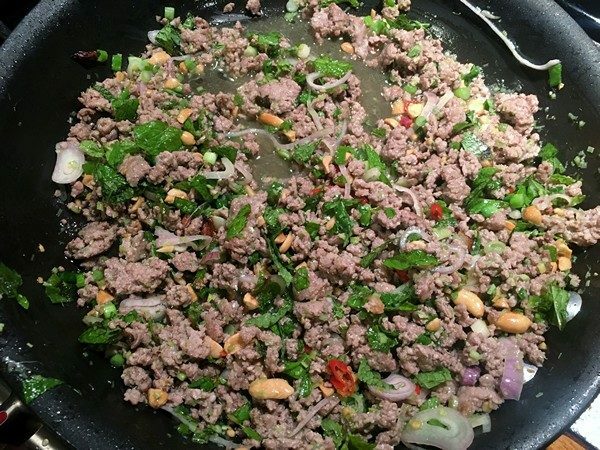 Let larb cool slightly, then stir in mint. Taste and season with more salt and fish sauce if needed. Serve over rice, garnish with remaining peanuts and enjoy! My verdict: Now I know where the rest of the ground lamb is going! This was really good and easier than the pork recipe we’ve loved. I started a pot of rice and by the time the larb was finished the rice was done. The original recipe called for serving it with cabbage leaves, which we might have switched out for some bibb or Boston lettuce cups, but no one wanted to go to the store, so we just did it over rice and were perfectly happy. I roasted the peanuts on a plate in the microwave, for about 3 minutes in 30 second bursts. The oven, or even a dry frying pan would probably work just as well. I have some ground lemongrass that I keep in the freezer and used about a heaping tablespoon of it for the larb and probably a scant tablespoon of fish sauce. Both worked out perfectly. 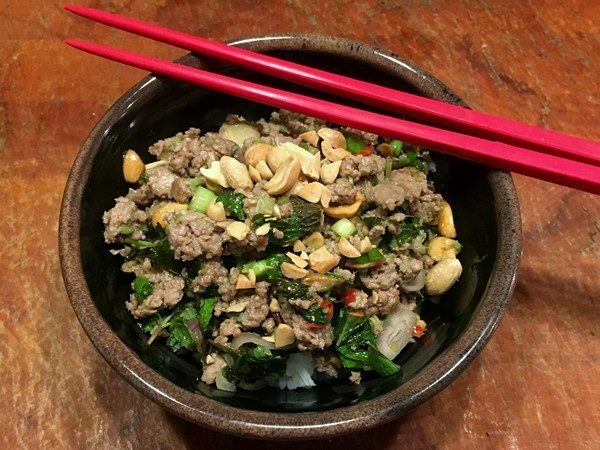 We were low on limes and I thought the larb could have used a little more lime juice, and possibly another Thai chili or a squirt of Sriracha for a little more kick. This is one of those recipes that you struggle with seasonality-wise. 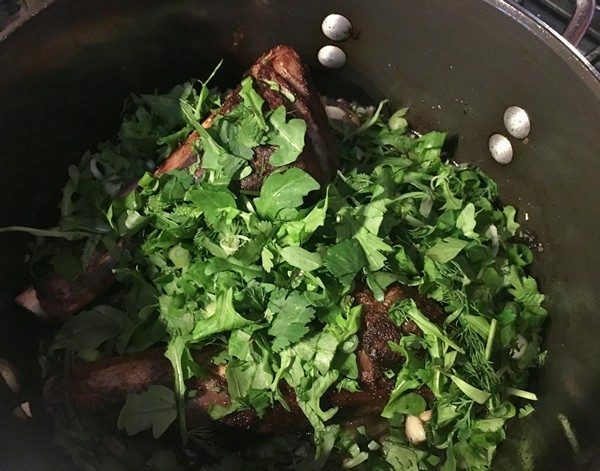 While it’s most likely a winter recipe—braising lamb shanks until tender, the handfuls of herbs get a little costly when you can’t run out and grab them from your garden. However, I had a few beautiful shanks from some local lamb that were crying out to be used, so I splurged and bought all (well, almost all) the herbs for this. This needs time, but it’s an easy recipe. From the NY Times Cooking this feeds 6-8. In a large bowl (or Ziploc bag) large enough to hold the lamb, mix together salt, paprika and pepper. Add shanks and rub all over with spice mix. Cover and marinate for at least 4 hours (or up to 24 hours) in the refrigerator. Heat oven to 325°. In a large skillet or Dutch oven, over medium heat, heat a splash of olive oil. Sear the lamb in batches to avoid overcrowding the pan, adding more oil as needed. Take your time with this, making sure to brown the lamb all over. Transfer browned lamb to a plate. 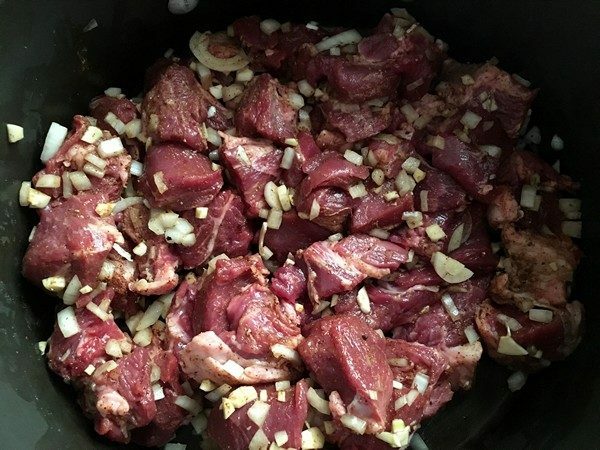 When all the lamb is cooked, add onion to empty skillet and cook it in the lamb drippings (adding a more oil if pan looks dry) until limp and lightly browned at the edges, about 5 minutes. Add garlic, coriander, cayenne and allspice and cook until the garlic is very fragrant and opaque, 1 to 2 minutes longer. Pour in wine and bring to a simmer, scraping up the browned bits on bottom of pan. Let mixture simmer until thickened and reduced by about a third (about 5 minutes). Add lamb back to pan and coat with the mixture. 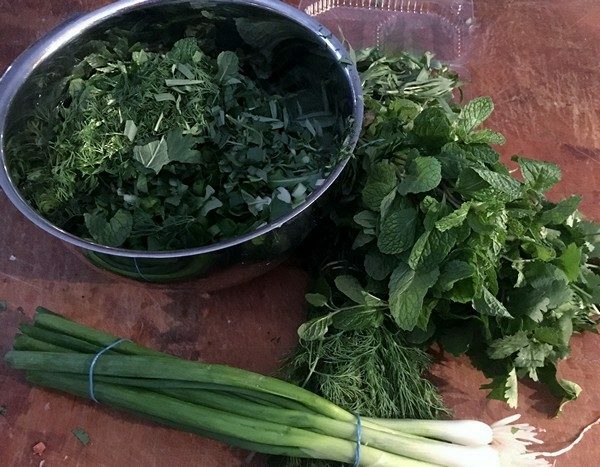 In a bowl, toss together scallions, spicy greens, and herbs. Sprinkle lamb with half the herb mixture and set remaining half aside for serving. Cover pan and bake until meat is falling off the bones, 3 to 3 1/2 hours total, turning shanks every hour so they cook evenly. 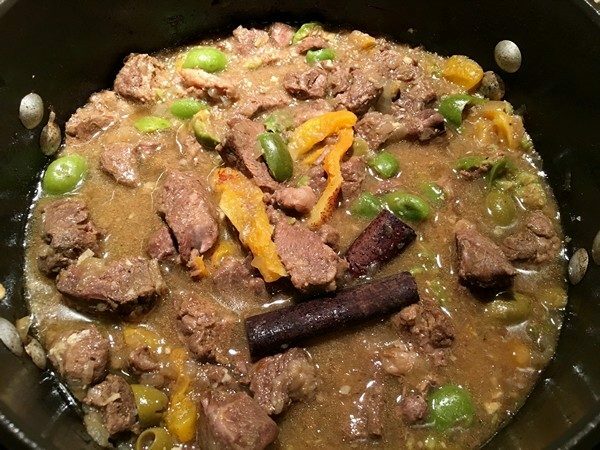 If the bottom of the pan starts to dry out before lamb is done, add a few tablespoons of the stock or water to moisten it. When shanks are tender, transfer to a heated serving platter and cover with foil to keep warm. If you like, at this point you can tear the meat off the bones; or, serve the shanks bone-in. On top of the stove, heat roasting pan over medium-low heat. If pan is dry, add remaining stock or water and bring to a simmer. (If drippings in pan seem very fatty, spoon off some of the fat.) Bring drippings to a simmer, scraping up the browned bits on bottom of pan. Once the liquid is reduced to a thin glaze, add butter to pan along with all but 2 tablespoons of the remaining herbs (save those for garnish). Whisk sauce until smooth, then taste and add lemon juice as needed. Pour sauce over the lamb and garnish with chopped herbs. Serve and enjoy! My verdict: This might be my new favorite way to do lamb shanks! The shanks were so tender and the combination of cooked down and fresh herbs was delicious. I halved the recipe because I only had a couple of shanks. Didn’t buy parsley or chives, and just added more arugula and chopped some of the green parts of the scallions finer. Would probably not bother with the tarragon either if I wasn’t doing the whole recipe. This could easily be done in a slow cooker or Insta-Pot (and that might be my summer choice when the herbs are all in the garden), but it was pretty easy in a Dutch oven. The only issue I had was that it kept drying out, so I added more wine and when that bottle was empty, went to water. 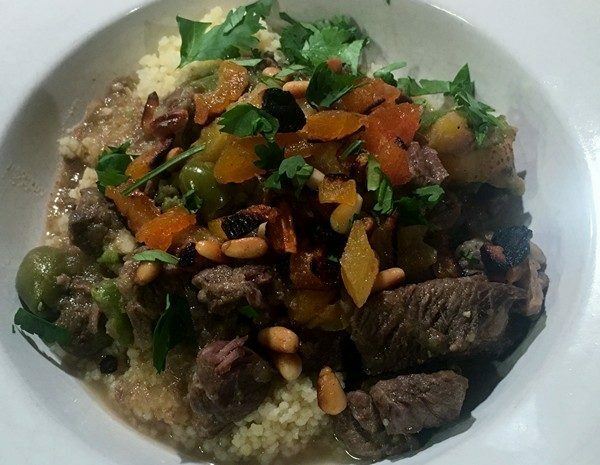 I served it over orzo, but couscous, polenta or rice would work well. Since it was such a success, I did it a couple of weeks later with a leg of lamb. Everyone loved it and Frank said it was the best leg of lamb he’d ever had!